Posted November 14, 2018, in Faculty News, Featured News, News, Student News. Even for those who may have never considered the history of a building where they have lived or worked, the installation that’s on display at the Rutgers University–Camden Alumni House may make them think otherwise. What started as a Department of History graduate class assignment last spring semester has now become part of an ongoing research project, based at the Mid-Atlantic Regional Center for the Humanities (MARCH) at Rutgers–Camden, to raise awareness of the Cooper Street District. Graduate students in Dr. Mires’ Material Culture in America class researched objects found from an archaeological dig from the new dorm at 330 Cooper Street. 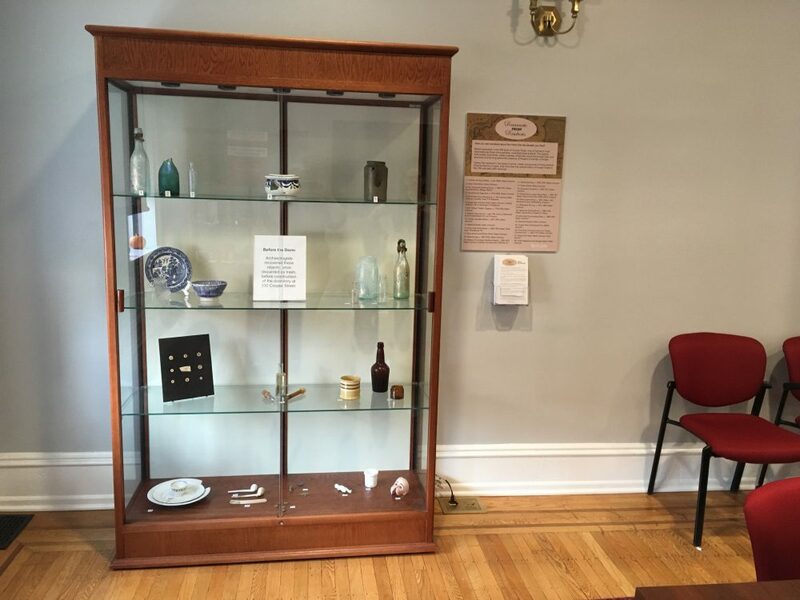 This particular object was researched by Lucy Davis, one of the students from Dr. Mires’ class, who uncovered that it was a morphine-based bottle of medicine that mothers during the late nineteenth century would give to their babies to calm them down. 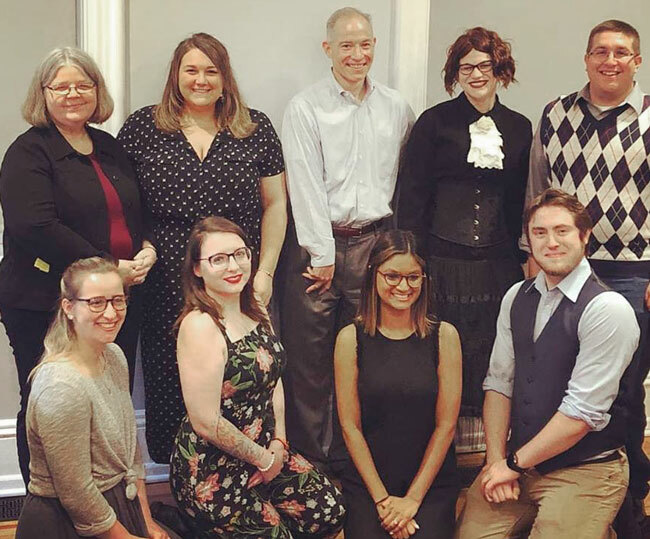 The other graduate students that made discoveries that were included in this project are Ernest Ariens, McKenna Britton, Amanda Cross, William Krakower, Timothy Potero, Anila Ramsarran, and Ashley Angelucci. Another conclusion that was made came from Angelucci, who revealed that the inventor of the Mason jar, a very commonly used food storage container, was from Vineland, New Jersey. 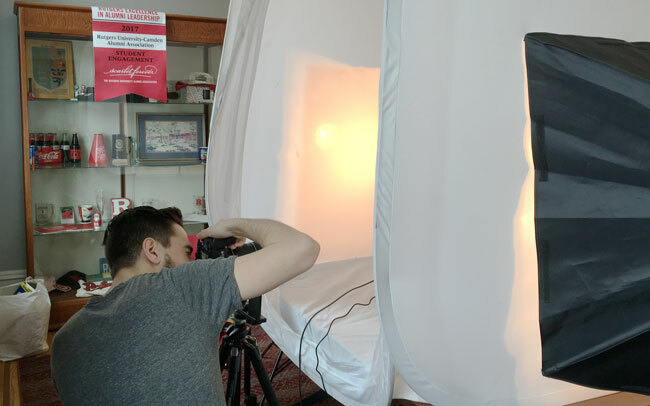 A key element on this site are the individual photos of each object, which were mostly taken by undergraduate art student Jacob Lechner, even though he wasn’t enrolled in the class. 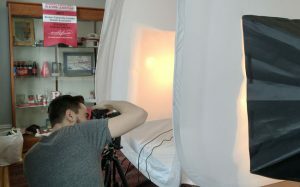 The two met through Lechner’s photography internship in the Faculty of Arts and Sciences–Office of the Dean’s Office of Web, New Media, and Design. “Jacob’s role in this was very important,” Dr. Mires said, in reference to his use of Object Virtual Reality photography. Jacob Lechner, a photography student, used Object Virtual Reality photography to capture images of the artifacts. It was Lechner’s use of this photography style that really allows these fragile pieces to be viewed in detail without actually being handled, especially since they’re now being contained in a glass case. The website also provides a link to a “resident database” of Cooper Street, which is an ongoing research initiative for Dr. Mires, her classes, and Davis, who first contributed while an undergraduate and who is now a second-year graduate student in the Department of History and digital media coordinator for MARCH. “What we’re doing is using the census and city directories to try to track down the previous people that lived on Cooper Street,” said the humanities professor, who credits Davis for the majority of the work. 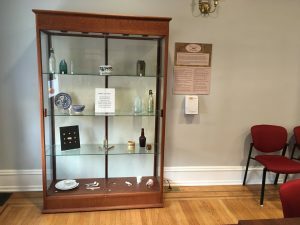 A cabinet filled with found artifacts from the 330 Cooper Street dig is on display in the Alumni House. “It’s a rare opportunity to be both a professor and to have the opportunity to create a community around doing public humanities,” said Dr. Mires. Page last updated by Faculty of Arts and Sciences at 9:32 am November 14, 2018 . This page was printed from http://fas.camden.rutgers.edu/2018/11/14/graduate-students-contribute-to-cooper-street-history-archives/ at 1:36 AM Monday, April 22, 2019.